You requested it at the user conference, and we built it! During our first user conference, we asked asked attendees what new feature tweaks they wanted to see in LACRM, and challenged ourselves to start building the most highly requested one before the conference was over. We’re finally ready to release the new feature! In addition to logging emails, the CRM will now log attachments as well. 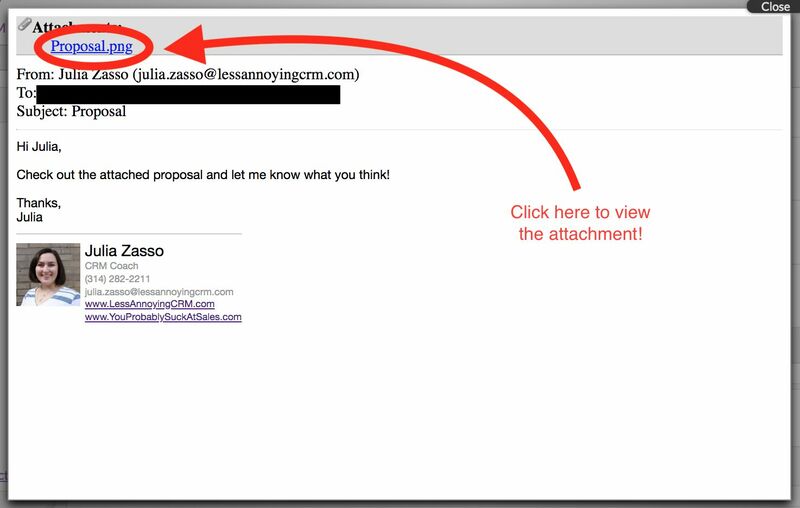 In order to log an attachment, you can log your email like you normally would. Remember: you can find your email logging address from the Email Logging Settings page. You’ll want to BCC that address on outgoing emails, and forward incoming emails to that address to log them. Once the email is logged to the CRM, you can view the email (and the associated attachments) on the contact’s record, or from your Activity Report. Just click to view the full email, and click on the attachment name to open it in a new tab. We hope you enjoy the new email attachment logging feature, and thank you to all of our conference attendees for the great feedback! Need help using the new feature? Contact us for assistance!